Designers can now access much needed information on opportunities and limitations of materials in India such as cotton and silk (among others). 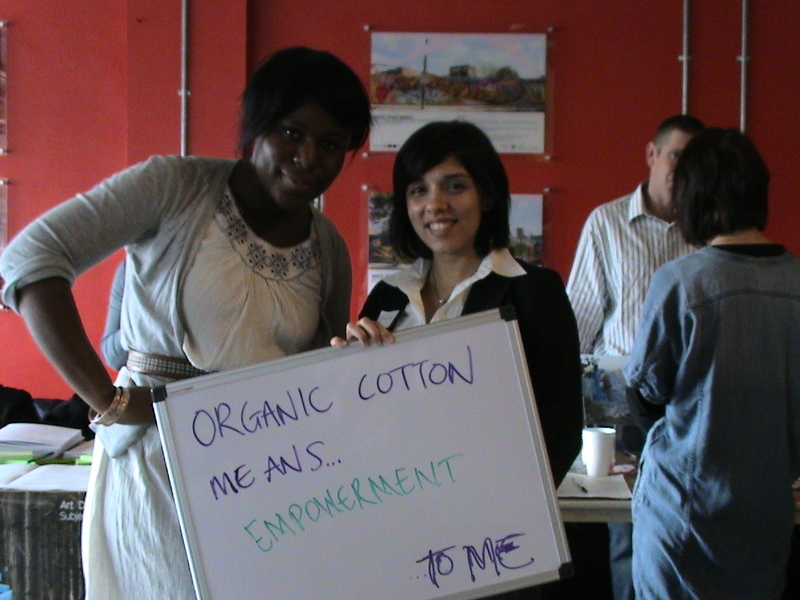 While designers may feel discouraged when they learn that genetically modified (GM) cotton “has found its way into almost every Indian supply chain,” they will no doubt understand the opportunity for change, as it exists in India, when they learn that “[s]eed exchange projects empower farming communities” (Shared Talent India). The project also provides information on the historical and cultural significance of skills such as weaving and knitting, dyeing and printing, embroidery, etc., as well as information on their processes. And, most important to designers, Shared Talent India presents a platform not only for education, but for engagement with direct access to suppliers on the ground. Visit the project, get informed and join in on the industry conversation! Congratulations to the Shared Talent India design team, their partners and funders and to the Centre for Sustainable Fashion for making this brilliant project happen. This entry was posted in Cotton, DESIGN, Education, Empowerment, Equal Rights, Fair Trade, Fairtrade Cotton, fashion, Fashion Design, Fibre/Material, Freedom of Association, Gender Equality, Human Rights, Labour, Nondiscrimination, Shared Talent India Project, Social Responsibility, Socially Responsible Design, Sourcing, Supply Chain, Transparency on December 16, 2010 by Mary Hanlon. Yet another update on forced and child labour in Uzbekistan’s cotton sector. An account of a student who was expelled (despite having a legitimate medical excuse) from her school for not participating in the harvest. Bakhtiyar Hamrayev, an Uzbek activist, was attacked after the airing of a BBC story on this issue. The beginning of the court hearings in the case of Ganihon Mamakhanov, a Fergana-based activist who was framed and subsequently arrested on extortion charges. Teachers and other officials encountered by the researchers are taking more pains to try to convince observers that the process is “voluntary,” perhaps indicating a greater degree of surveillance and official pressure than in years past. Take a look at the list and see if you recognize any names. Please let us know who they are and which companies they service. This is a big step in the ability to trace this harvest. Finally, in case some are still wondering what the big deal is, here are some videos showing what life is like for the cotton labourers. This entry was posted in A Closer Look, Child Labour, Consumer Education, Cotton, CSR, Education, Forced Labour, Freedom of Association, Harassment or Abuse, Health and Safety, Human Rights, Labour, REPORTS, Responsibility, Social Alterations, Social Conditions, Social Responsibility, Supply Chain, Uzbekistan and tagged Responsibility on November 27, 2009 by Nadira Lamrad. A roundup of some of the stories, headlines, and updates you may be interested in from in and around the community of socially responsible fashion design. Design Revolution is taking to the road! 25 schools, 75 days and 6300 miles. Click here for more info. DBTV: Girlie Girl & The Brute at The Green Shows, Pt 3 from The Discerning Brute on Vimeo. This entry was posted in Cotton, CSR, DESIGN, Education, Environment, Fashion Design, Labelling, Labour, Responsibility, Social Conditions, Social Responsibility and tagged DESIGN, Responsibility on November 13, 2009 by Mary Hanlon. Prediction: 2010 will be the year of the care tags. That is, responsible care tags, among mainstream retailers. You may remember SA highlighting Gap Inc.’s short-sightedness when we took a closer look into their Clean Water Campaign. Although we commended the company for an effective goal implementation strategy, it was hard to ignore the areas in which the company’s analysis fell (and continues to fall) short. For starters, they seem to have conveniently ignored the impact of their product user, the consumer. 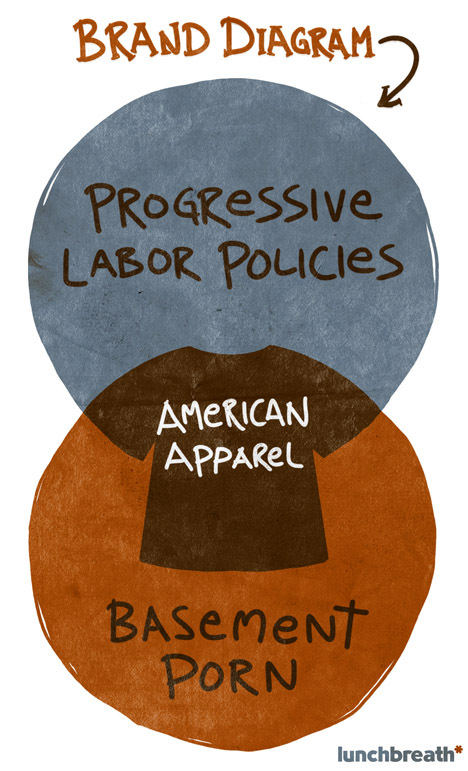 Gap Inc.’s impact assessment stops at the retailer! As a result, they have washed their hands of any social or environmental impact of any Gap Inc. product once it has been purchased by the consumer. An oversight as large as this, by a company as large as the Gap, is…well, very bad! For more details on the problems with this incomplete lifecycle analysis check out our earlier post. Thankfully, Levi Strauss & Co. has recently extended its corporate footprint to include the impact of the user, and launched a new care tag campaign as a result. They have also gone ahead and acknowledged the impact of the end of life of their products in their analysis, through a partnership with Goodwill, and have even included a new logo on the care take to symbolize encouragement for product donation. 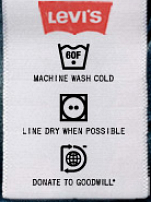 Unfortunately, one huge social and environmental impact consideration that was missing from Gap Inc. care tags is also missing by Levi Strauss: information on best practices with respect to cleaning detergents! According to William McDonough & Michael Braungart, in their book Cradle to Cradle: Remaking the Way We Make Things, laundry detergent is a classic example of design for the worst-case scenario. What does this mean? Well, it means that a universal strategy has been put in place to make sure that in every scenario the end result on the product is the same. Essentially, they argue that systems of universal design assume “a worst-case scenario; they design a product for the worst possible circumstance, so that it will always operate with the same efficacy.” (Braungart and McDonough, 30) In this case, “[c]leaning detergents lather up, remove dirt, and kill germs efficiently the same way anywhere in the world―in hard, soft, urban, or spring water, in water that flows into fish-filled streams and water channelled to sewage treatment plants” (29-30). The authors go on to argue that “[u]nder the existing paradigm of manufacturing and development, diversity―an integral element of the natural world―is typically treated as a hostile force and a threat to design goals.” (32) Although “the economic payoff immediately rises, the overall quality of every aspect of this system is actually in decline.” (35) Your laundry detergent is hostile! Commenting on the Levi care tags, Michael Kobori, vice president of social and environmental sustainability at Levi Strauss, has stated that “[t]his is the first major step to begin to engage consumers in their environmental impact and what they can do reduce it” (Ecotextile News) We are hoping the next steps will reflect on solutions for consumer education in the detergent department. It’s so unfortunate that Gap Inc. dropped the ball on this consumer education initiative. The Gap’s Clean Water Campaign only included the 1969 jean. Why isn’t the company doing more to promote best practices on the rest of its denim products? Rather, in the rest of all of its products! They likely will be doing so now. Did you hear that Gap Inc.? You still have time to catch-up! 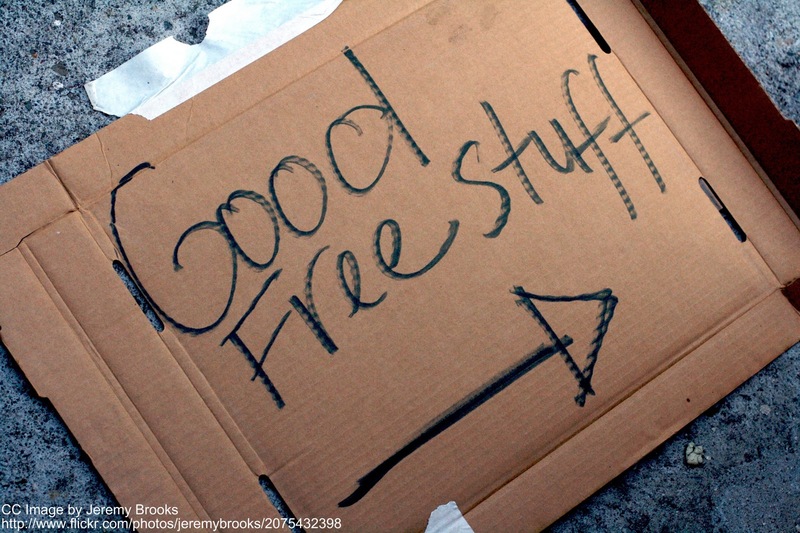 Why not start your own online viral campaign and in store consumer education campaign? If you need any help, we’d be happy to walk you through the actual stages of your garments’ footprint….. Reminder! The abstract submission date on the call for papers for Social Labelling in the Global Fashion Industry is November 15th. Click here for more info. Work Cited: Braungart, Michael and William McDonough. Cradle to Cradle: Remaking the Way We Make Things. New York, NY: North Point Press, 2002. This entry was posted in Consumer Education, Cotton, Cradle to Cradle, CSR, Education, Environment, Fibre/Material, Garment Care, Garment Disposal, Greenwashing, Labelling, Landfill, Lifecycle Analysis, recycle, Responsibility, Socially Responsible Design, Transparency, Water and tagged Responsibility on November 10, 2009 by Mary Hanlon.